Batik is one of the original products from Indonesia. Batik has been synonymous with outfit for formal occasion. But now batik can be used for casual look. Combined with plain shirts and hats, you will look stylish and casual. I wear a batik shirt from one of the best brands from Yogyakarta Rianty Batik. 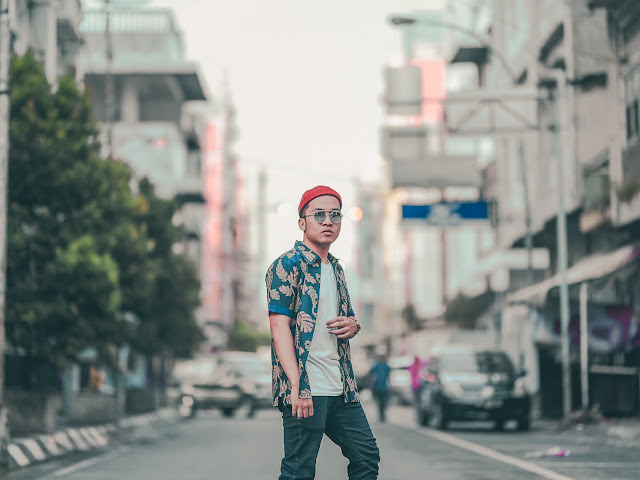 The batik motif they have is very cool and suitable for your casual looks. Do you know Crispy Apple Pie? 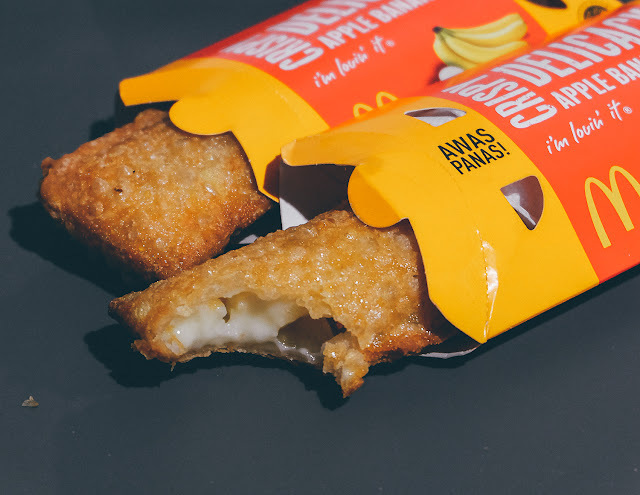 Yes, that's a succesful dessert product from Mcdonalds Indonesia and now they launched the new innovation of crispy pie " Apple Banana Pie". How does it feel when I try it for the first time? let's check this out. This is not in Tokyo, Japan. But this is just a small corner in Jakarta, Indonesia. This location is located around Melawai, Blok M. I just went around exploring this area with my friends. 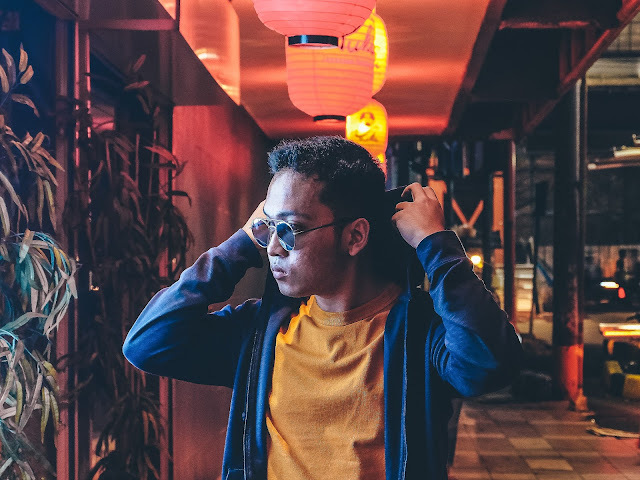 My outfit just like casual looks: a basic yellow t-shirt topped off with a navy blue hoodie jacket as if to make a color at night. The look was a bit to stunning for me since i wear my mirror glasses reflect the neon light arround me. cause we all know this style is trending and happening to night photoshoot.